With the increased versatile needs and wants of mankind day by day, thanks to the technology dimension to meet up with the standards of our priorities. We live in the same world where once upon a time when people used to cook in firewood and gas stoves, but now this express-generation people (we) cannot imagine our daily life without our mandatory home appliance—the Microwave Oven. Different techniques have been used since ages for cooking and heating food. We seek microwave oven to cook and heat food in our everyday life, especially for heating the food. So, don’t you think the thing which we can’t live without should be kept clean and tidy always? A meat curry is enough to destroy your dazzling clean microwave oven to a mess! 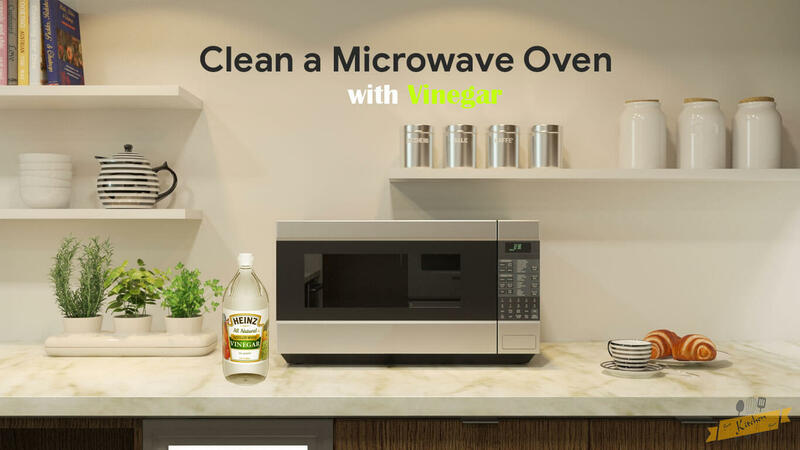 But relax, it’s time to keep your worries aside as we present you some awesome tips to clean your microwave and turn it into a brand new one. 1.1 1. When life gives you Lemons, make Lemonade out of it! 1.2 2. Why not some Vinegar? 1.3 3. It’s time to wash the Tray clean! 1.4 4. 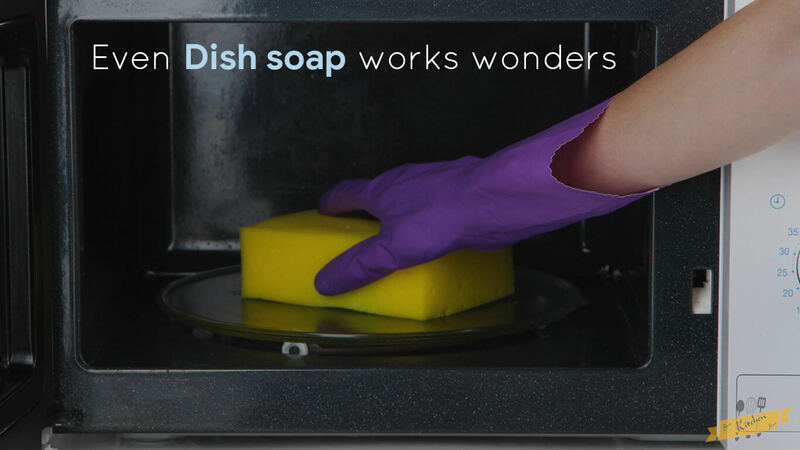 Even Dish soap works wonders. 1.5 5. A squeaky clean with Window Cleaner. 1. When life gives you Lemons, make Lemonade out of it! Lemon acts as a fine natural cleanser. Put a microwave-proof bowl in the Microwave Oven with one cup of water and some drops of lemon/lime/orange juice. You can also add the peels in this solution. Switch the oven on with high temperature mode for a number of minutes, until the solution evaporates and the window is steamy. Before opening the door, allow it to rest inside for around 10 to 15 minutes. After you’re done with this waiting period, take out the bowl and wipe the inside easily with a sponge or a paper towel. You will see that there’s no need to put much efforts in scrubbing, gently wipe it and the grease will easily come out effectively. You can also cut the lemon in half and put the halves in upside down direction on a microwave-proof plate with a few drops of water. Then heat it for a couple of minutes until the lemon is hot and the window is steamy. Both the results will be rewarding, thus leaving a fresh fragrance and of course eliminating any bad odor inside. Depending on the type of your Microwave, it might even has this function inbuilt. 2. Why not some Vinegar? If you do not want to use lime juice and extracts, you can also add a few tablespoons of vinegar to the water. Place a microwavable bowl in the oven with the solution of a cup of water and several drops of vinegar mixture. Turn the Microwave oven on and heat it for quite a few minutes until the solution is boiled enough to make the inside of the appliance steamy. And don’t forget to keep the temperature on high mode. When the heating time is over, take the bowl out and clean the inside gently by wiping with a kitchen tissue or a paper towel. 3. It’s time to wash the Tray clean! If you are planning to thorough clean the glass/ spin tray in your microwave, then here’s a method for you. At first, remove the glass tray or turntable from the appliance and give it an intense wash under the tap or through the dishwasher. You can give it a thorough scrub with your armor—the sponge and detergent of course, and wash it under clean tap water. After washing, wipe it dry with a rag or paper towel and carefully place it again back to its normal place. 4. Even Dish soap works wonders. Place a microwave safe bowl in the microwave with some water and several drops of liquid dishwasher (according to your need). Heat the solution for a couple of minutes or until the solution begins to steam. Then remove the bowl from the oven and wipe the inside with a damp sponge or rag, resulting in all of the grease come out. The steam also contributes in loosening the gunk, as a result, just a gentle rub would be sufficient enough. However, you can also add some baking soda to the solution. This will help eliminating any odor left inside. 5. A squeaky clean with Window Cleaner. Unplug and switch off the appliance as you start to clean. Then begin with mixing your diluted solution. In a bowl, pour some amount of window cleaner with some warm water in the ratio as 2:1. This mixture should be enough to give your appliance a thorough clean up both from the inside and outside. Start with wiping the inside of the microwave. Dunk a sponge in this diluted solution and scrub the inside smoothly. Scrub the base of the appliance first by taking out the glass tray from the inside. Scrub until all the stains and spots are gone. You can also let the solution rest for some minutes into the tough stains before scrubbing them. Then wipe the vents of your appliance from the inside to ensure no gunk remains. As food tends to splatter more often on the surface area of the upper shelf and ceiling, make sure to wipe it neat and clean. After you’re done with scrubbing, drench a neat rag in clean water and wipe all over in the inside and the window completely. Make sure no residue is left in any corner of the inside or by the window side. Then pat dry all over the inside with a dry, neat rag or kitchen towel. After completion, if any spots still remain, rub it with a cloth soaked in olive oil. If oiliness persists after rubbing with oil, clean that area with dish soap and warm water, and then wipe again with a dry, clean rag. Now that you are done with the inside, proceed with the outside. Clean the door, the handle, the exterior glass of window, the buttons, and the sides of the appliance by directly spraying window cleaner onto them and then wiping with a neat and dry rag or kitchen towel. Or, if you want to avoid direct spraying, you can also spray some amount onto a kitchen towel and then wipe all over the exterior with it. 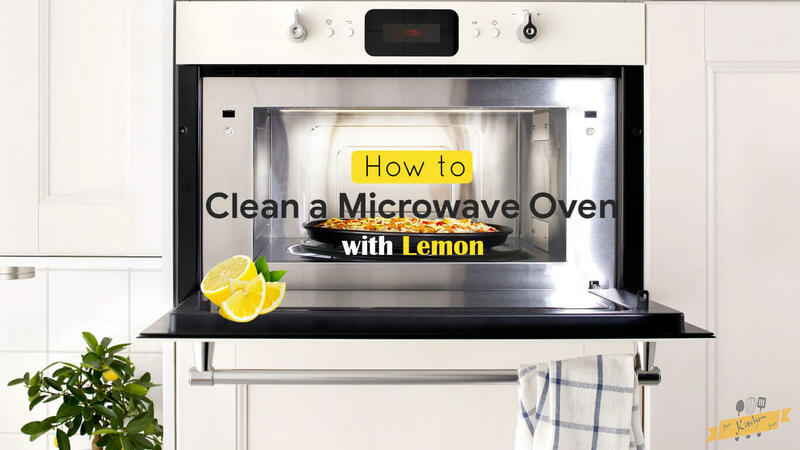 Your microwave is now completely neat and clean. 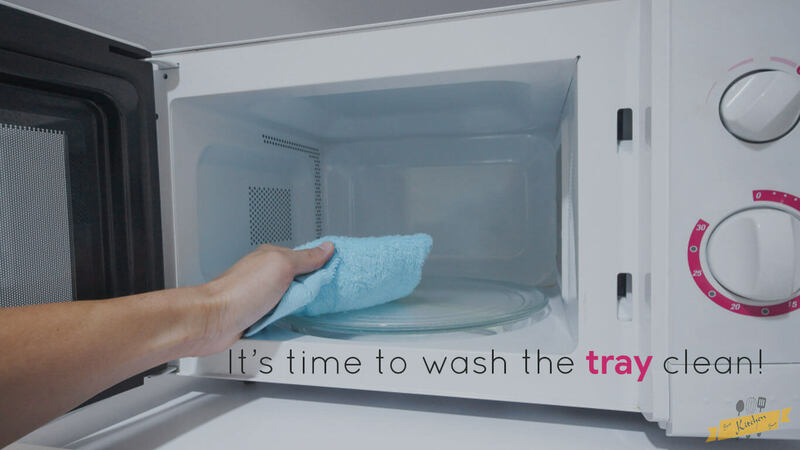 After completion of cleaning your microwave oven, leave the door open for a while to let it dry and to air pass inside. Always cover food while heating in the microwave to keep your appliance clean. 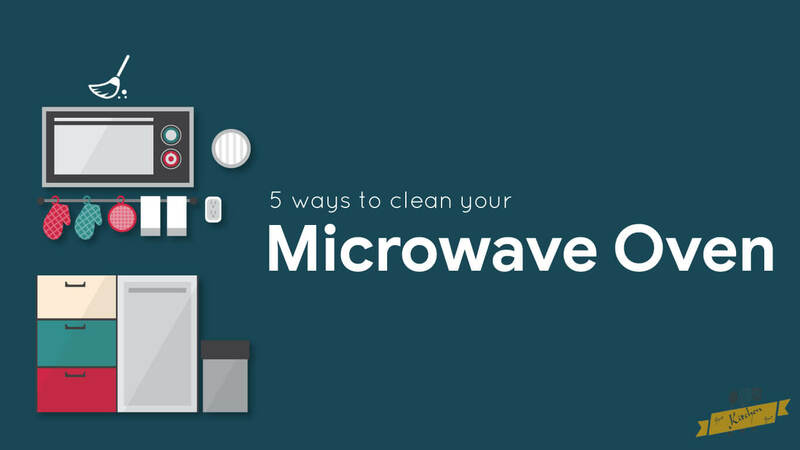 Rather delaying, try to clean up the gunk in your microwave as soon as possible. Clean your appliance every once or twice a month at least. At the end, if you think your Microwave is of no use, you can buy a new one. 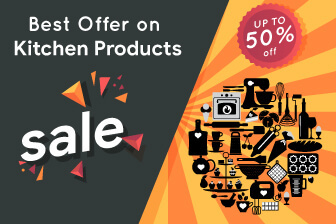 We have formulated different list of Best Microwave Oven, you can pick one from there.